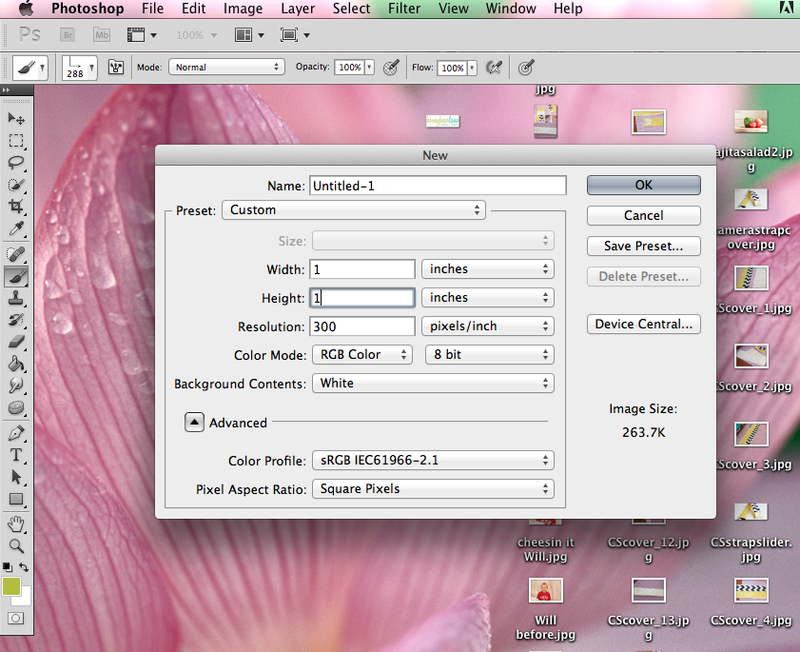 Start out by creating a new document that is 1×1 inches and I make it high res at 300 dpi. I also set it with a white background just for ease. Then you start creating shapes to make a simple pattern. I’m going to make a blue gingham pattern. 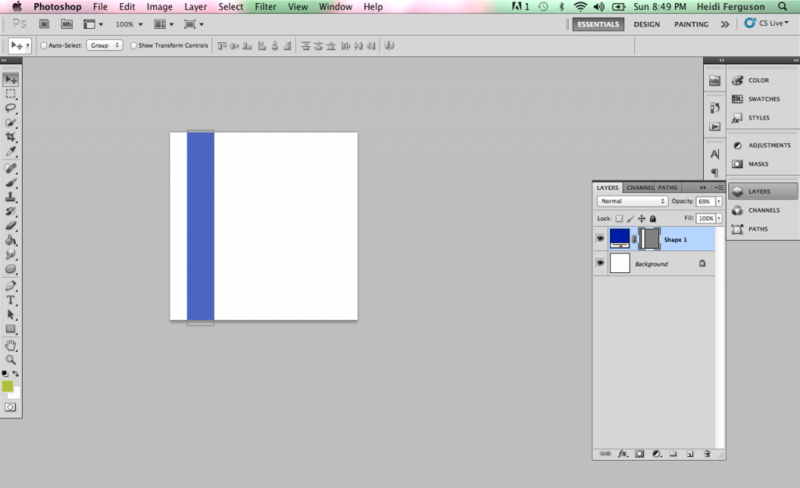 I use the shape tool to make a rectangle. Then I change the opacity to about 70%. *IMPORTANT: When you make your pattern, arrange the shapes in a repeatable pattern. Imagine what your pattern square would look like with the same pattern square next to it, above and below it. If it is seamless, then you’re good. After you get your pattern to where you like it, go up to Edit -> Define Pattern. You can name your pattern and click save. 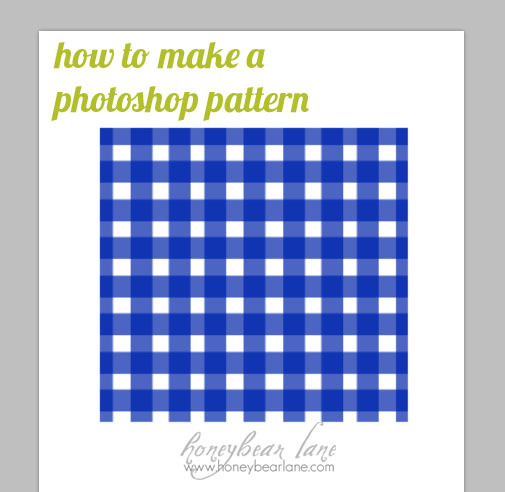 Then to apply your pattern, create a new document and make a shape. Rasterize the shape (Layer -> Rasterize -> Shape). Then double click on the layer to open a Layer Style box. 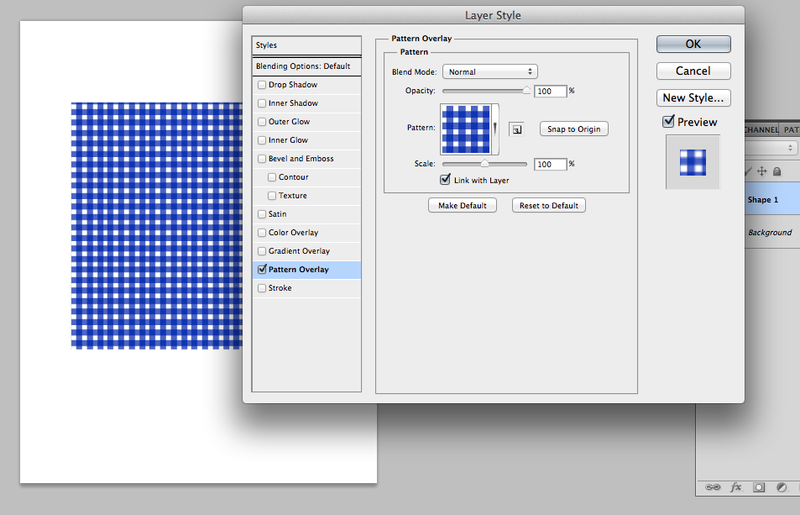 Check the Pattern Overlay option and double click on the words “Pattern Overlay” to find your pattern. Open the drop down pattern box and scroll to the bottom and your pattern should be there! Click on it and the shape will take on your pattern. To adjust the scale of the pattern, just drag the scale bar up or down. That’s it! 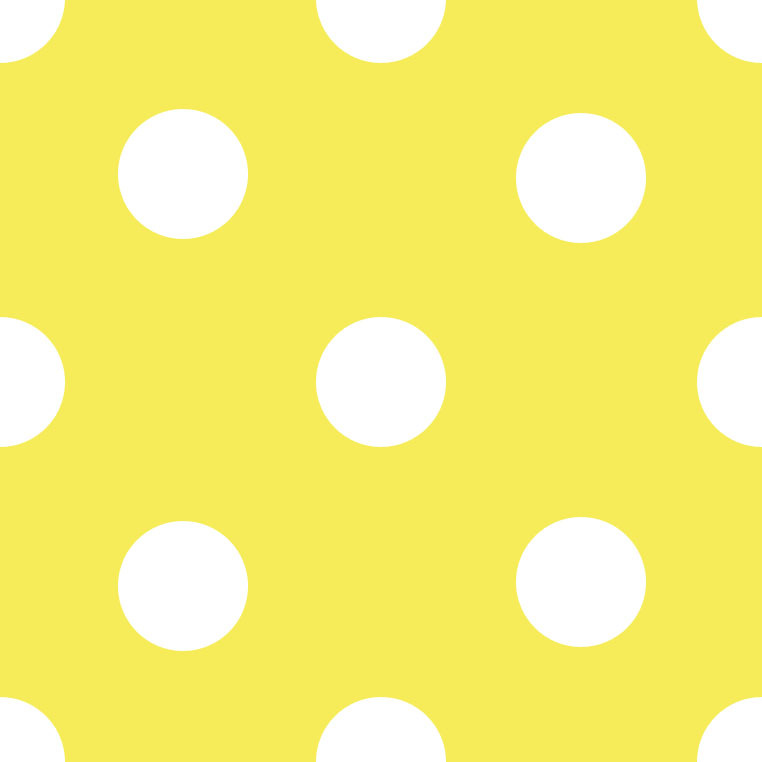 Here’s a free pattern for ya, courtesy of Moi. Just drag it to your desktop. 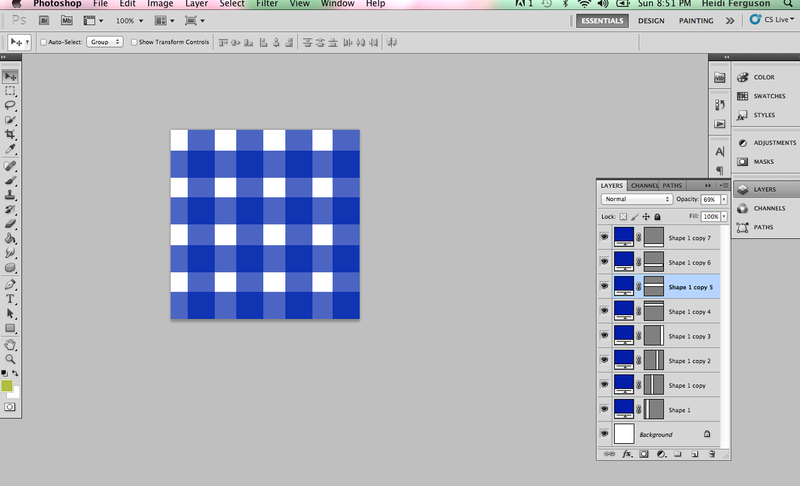 Then you can open it in Photoshop and change the background color to whatever you want and Define the Pattern again! I just figured out how to do this two days ago too, and I felt like a complete genius, but silly too. 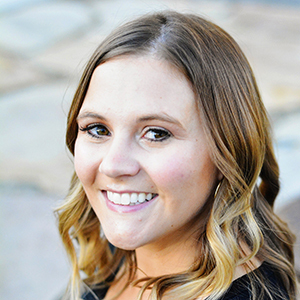 My mom is a photoshop wizard and I could have asked her instead of googling for an hour. Thanks for the free pattern!